Are we about to enter an era of DRM-controlled gaming? Sony has responded to the legions of PlayStation fans who took to Twitter, upset over rumors that the company is considering adding DRM to control the sale and trade of used PS4 games. Reports this weekend had suggested Sony may follow Microsoft's rumoured plans for the Xbox One to attach a licensing fee to used games, enabling it to take a cut of resold titles. Using the hashtag #NoDRMPS4 on Twitter and through a thread on the NeoGAF forum PS loyalists quickly registered their displeasure. 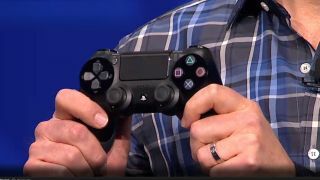 Responses quickly came in from the Sony camp, including SCEA producer Nick Accordino, who wrote: "Humbled by the outpouring of passionate PlayStation fans and their willingness to talk to us directly. Please know that we hear you." Head of Hardware Marketing at Sony PlayStation, John Koller, added: "This is why I love PlayStation fans- the passion bucket overflows." The reports that Sony was considering implementing the controversial DRM software, which would make life extremely difficult for retailers that bank on trade-ins, came from industry commentator Geoff Knightley. He had been informed by sources that both Microsoft and Sony were planning on taking control of the second hand market. He said: "Sony, I think, has been seen as this kind of white knight so far that's not going to restrict used games. Based on some of the things I'm hearing, I don't think that's entirely true, because I can't see publishers allowing one system to do one thing and one do another." Rumours that Microsoft plans to charge up to £35 for a second hand license for games emerged following the Xbox One launch last week, although they have since been contradicted. Both companies are expected to clarify their positions at E3 in a couple of weeks and it'll be interesting to see if Sony really is listening to its passionate fanbase.